This episode of Pittsburgh 360 celebrates winter in Pittsburgh. First, we stop by a hockey game but we're not watching the ice. Join us on a trip behind the scenes to see the team controlling the screen. We then get beer lessons at a local brewery before heading to the Pittsburgh Zoo where the penguins intermingle outside of their exhibit. 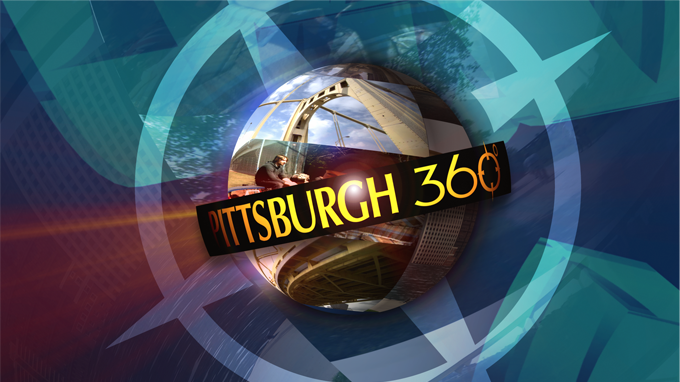 Pittsburgh 360: The Pen's Other Team, Hopping to Brew & A Winter Visit aired on Jan 27, 2015. Michael Bartley introduces us to a local group that is helping teen moms beat the odds, Michael also takes you behind the scenes of an exciting new talk show shot right here at WQED, and Tonia Caruso introduces us to a father and son who've opened the first local distillery since the end of Prohibition. In this episode of Pittsburgh 360, contributor Mike Lee shows us the science behind reclaiming ground zero after the attacks on 9/11, Michael Bartley introduces us to a woman who is inspiring others by showing them "The Sunny Side of Cancer", and we get a clue about a local acting troupe serving up mystery with a meal. Tonia Caruso introduces us to a young boy who is getting a big boost in school from a small robot, Michael Bartley shows us how some local students are overcoming obstacles and letting their talents shine through F.A.M.E, and Chris Moore takes us on a tour of some ancient artifacts from the land of the bible. In this episode, Chris Fennimore visits a Forest Hills bakery, whose custom cakes are works of art. Michael Bartley goes behind the scenes at the Lawrenceville cookie tour, and Pittsburgh 360 takes you to an out of the way restaurant with just one chef, and a reservation list four weeks long! We’ll meet a local minister who uses the arts to keep teens away from trouble then go for a tour of a Faberge art exhibit. A local inventor shows how to easily synchronize holiday lights to music and we’ll highlight an exhibit of pictures of Pittsburgh, shot by photographers who know the city best. The legacy of a young leukemia victim is profiled then we take you on a tour of the Sarah Heinz House which has been an outlet for Pittsburgh’s young people for more than a century. And we’ll go behind the scenes of a local singing competition where the winner will get the chance to perform with the Pittsburgh Opera.